I got myself two new models last weekend. 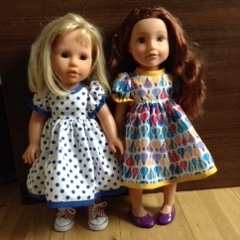 A DesignaFriend doll and a Zapf doll, both 18 inch. Now I'll be able to get some nice photos when I make more dolls clothes.